Gina Hall is done with men who won’t commit. Ten years waiting for her ex to propose wasted her time. Never again. When her friend Kristen starts a game of Truth or Dare, she dares Gina to go on a date with Ethan, who’s amazing and total marriage material. Even though Gina and Chris are pretending, their relationship begins to feel painfully real. Fearing she might be falling for another fly-by man, Gina must focus on Ethan so she doesn’t make the same dating mistakes all over again. I LOVED Gina and Chris’s story. I think it was very romantic how Chris used the ruse of needing a pretend girlfriend to spend time with Gina. Their role playing banter was fun and sweet at the same time. It was clear to me as a reader that Chris was totally smitten with Gina and had my head shaking at several points when Gina was just not getting it. Ms. Hatler has once again written a sigh worthy love story with a swoon worthy leading man and a realistic leading lady. Enjoyed revisiting with Gina’s friends Rachel, Kristen, and of course, the bride, Ellen. Would have liked to have a little more of Henry, the groom. 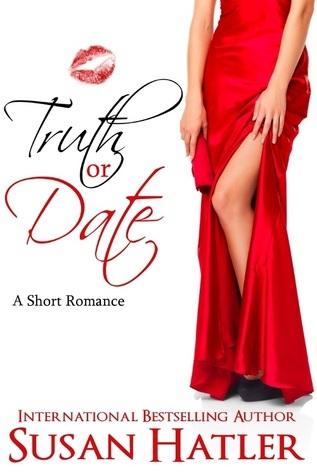 Overall this is a very engaging and romantic love story with a delightful HEA ending.